Born: May 1, 1909 in Boston Ma. 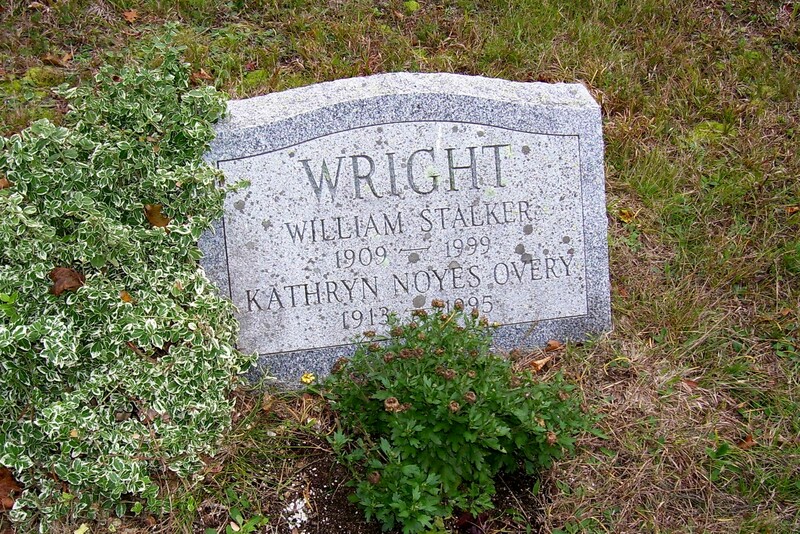 Died: February 28, 1999 in Pocasset Ma. Married: September 28, 1933 in Dorchester Ma. 1. William Stalker Wright, Jr.; (September 27, 1933 – August 31, 2017); Unmarried. 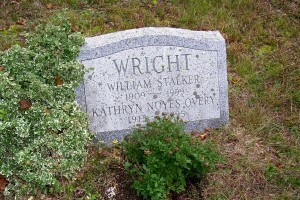 William is buried in Pocasset Cemetery. 2. Virginia Ellen Wright Nielsen; (March 15, 1935 – ? ); Married Peter Albert Nielsen. 3. 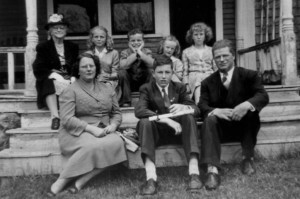 Eleanor Mae Wright Brander; (July 29, 1936 – ? ); Married Lester Earle Brander. 4. 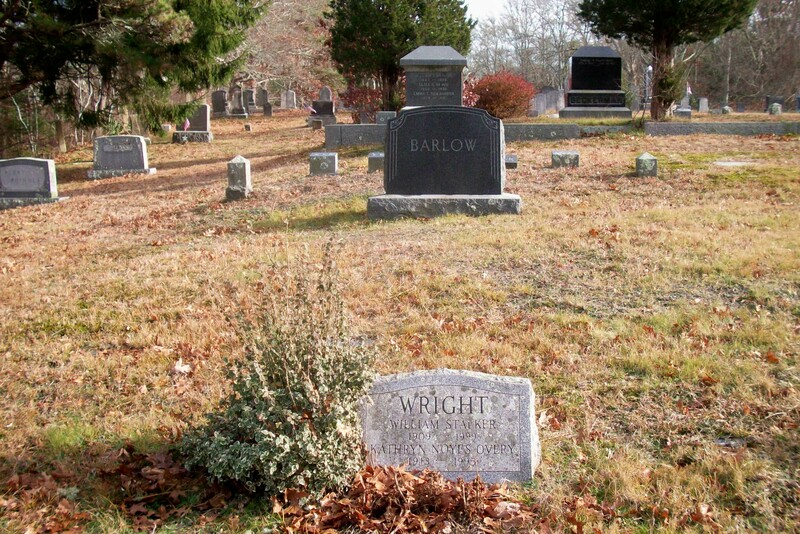 Carol Ann Wright; (December 25, 1937 – September 1, 2018); Unmarried; Carol is buried in Pocasset Cemetery. 5. 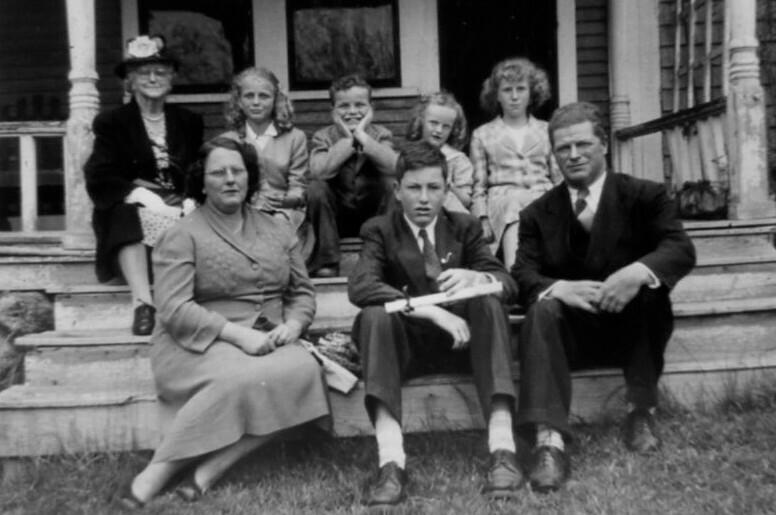 John Edgar Wright; (December 29, 1939 – ? ); Married Dorothy Jean Morrill. 6. Marcia Rae Wright Monette; (August 15, 1941 – July 27, 2010); Married Morris Francis Monette; Marcia is buried in the Massachusetts National Cemetery in Bourne Ma..